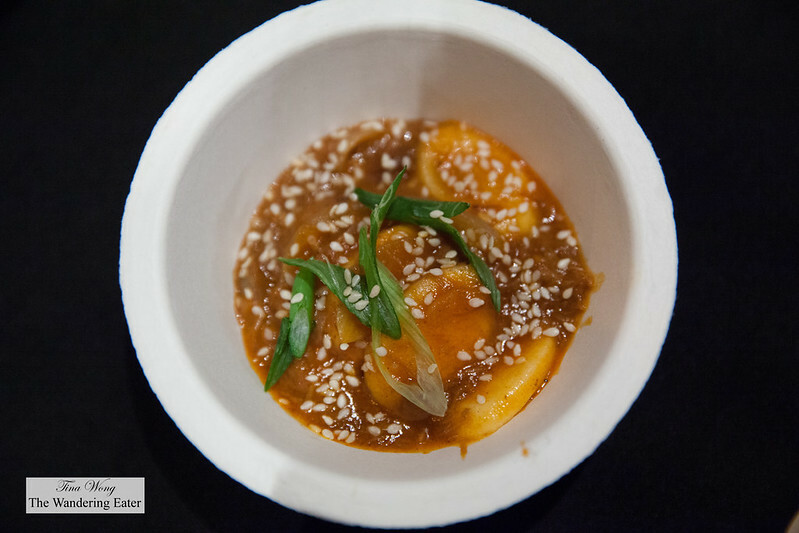 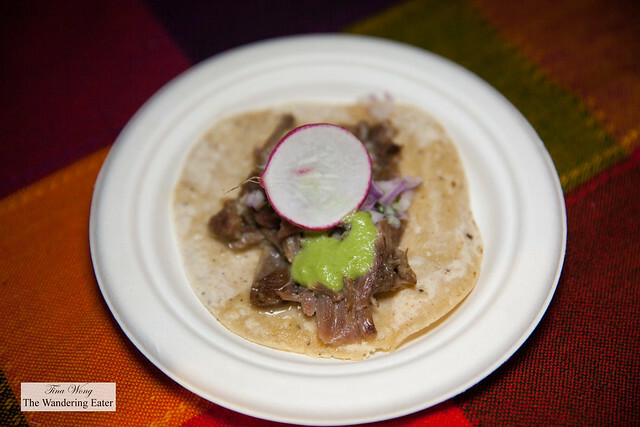 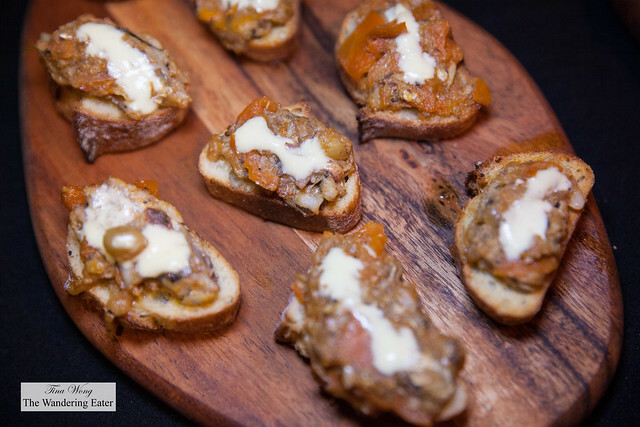 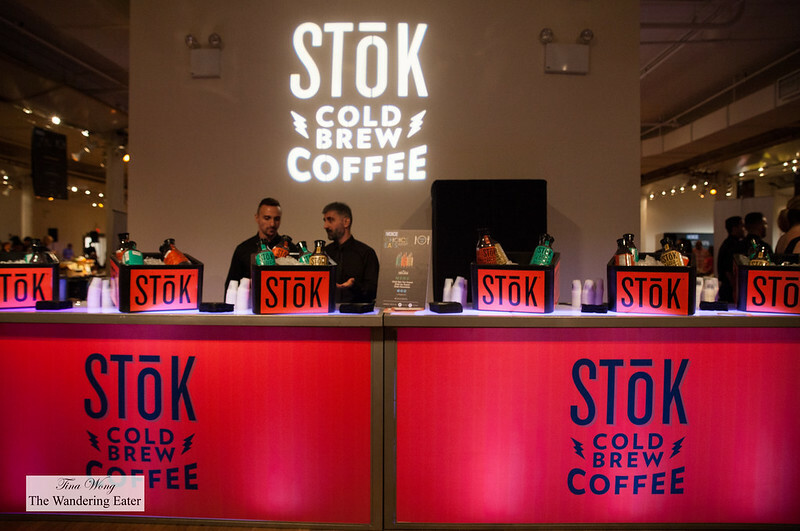 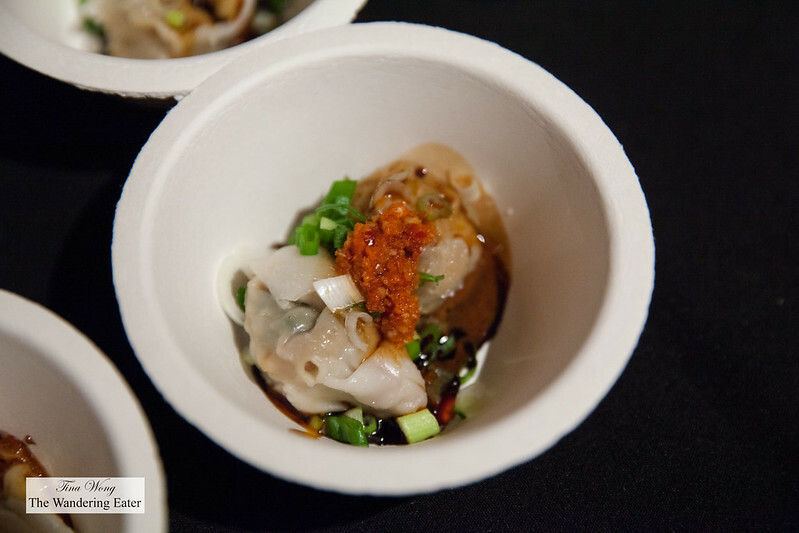 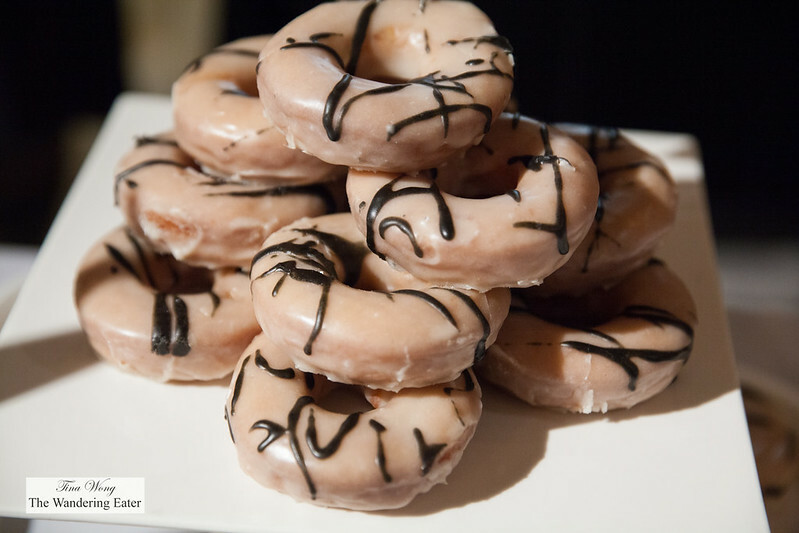 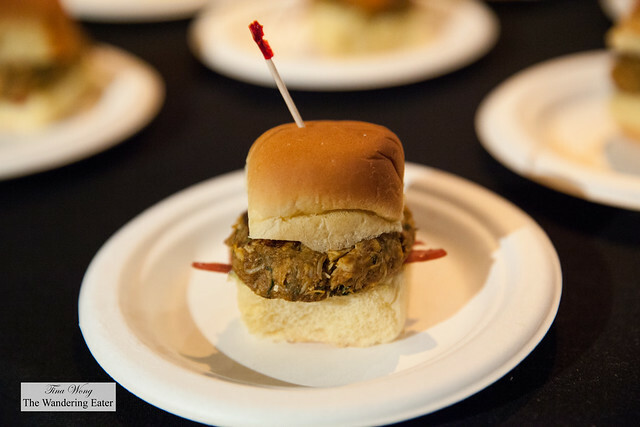 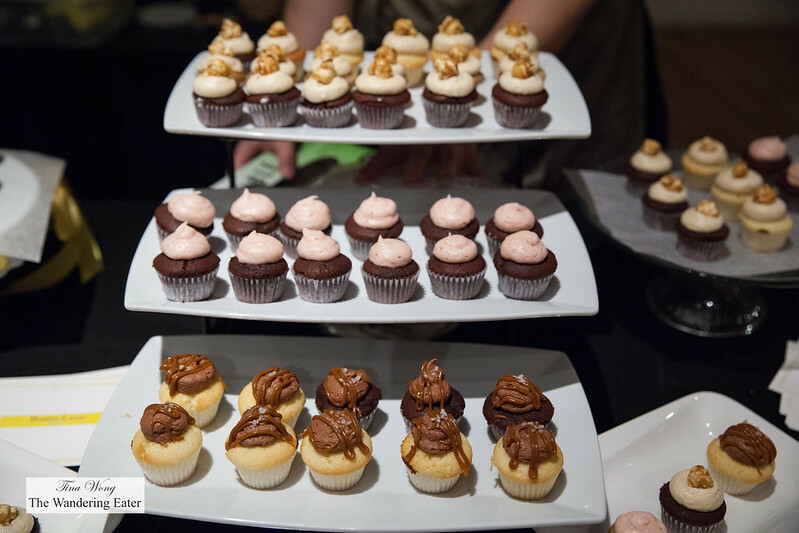 This year’s Village Voice‘s Choice Eats is another great food event that took place at the Metropolitan Pavilion on Friday. 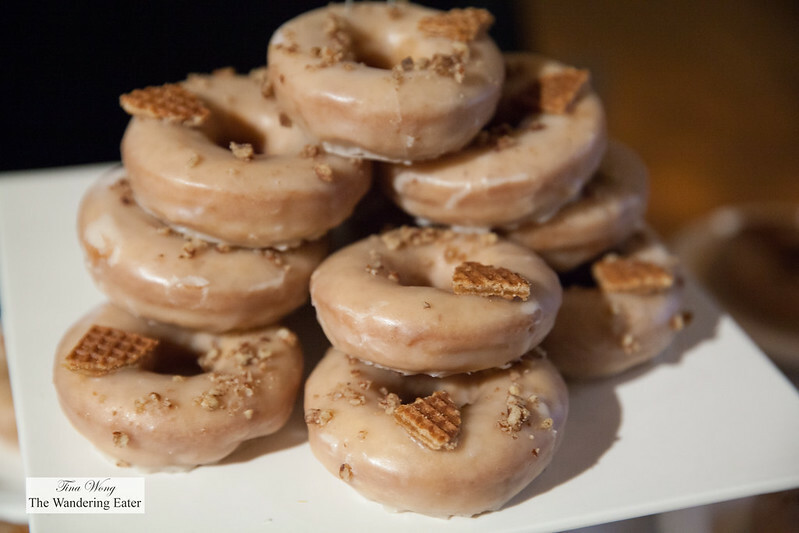 There’s lots of great bites provided from the fifty or so restaurants and shops like Chefs Club, Doughnut Plant, Glasserie, La Vrai Raclette, The Lucky Bee, Pinto Garden, The Black Ant, Buka, The Gander, The Handpulled Noodle, Raclette, Huertas, ilili Box, and Underwest Donuts. We really adored the plmeatates of shrimp noodles salad and spicy wontons from Mooncake Foods. Great, balanced flavors from both dishes and they were cooked very nicely. 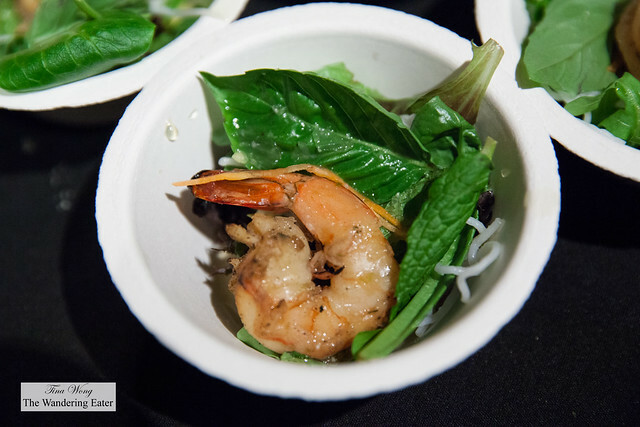 The shrimp salad was savory, a little sweet from the shrimp and the acidity from the vinaigrette was sublime with the rice noodles. 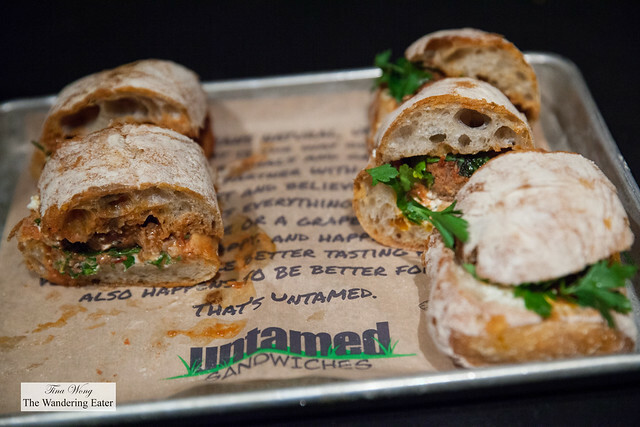 The meatball sandwich, herbs, black garlic butter, whipped goat cheese in ciabatta from Untamed Sandwiches was delicious. The delicately crisp, chewy bread meets the flavorful meatballs and the sauce was incredibly tasty. 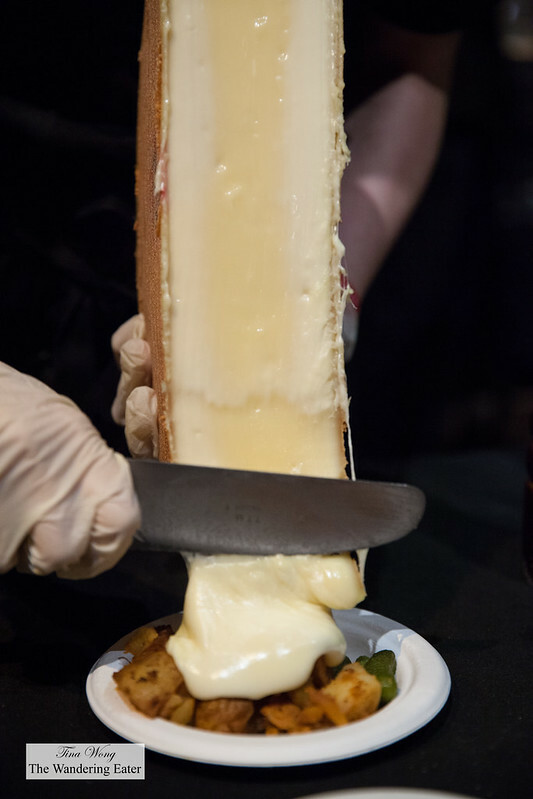 The goat cheese added a creamy tang to the sandwich. 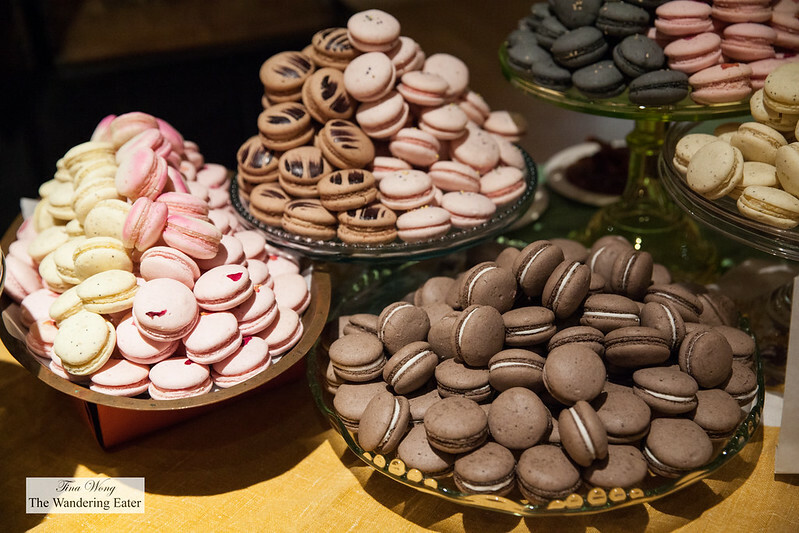 There’s plenty of desserts to choose from ranging from macarons, doughnuts, chocolate cake, cupcakes, and ice cream. 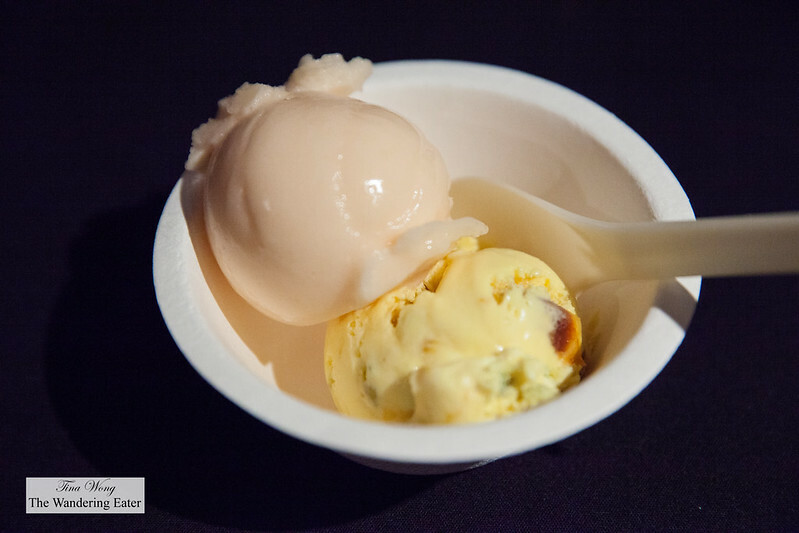 The sweet that really had my attention was Oddfellow Ice Cream. I wish I could pick up a pint of their saffron passionfruit with apricot and pistachio ice cream. 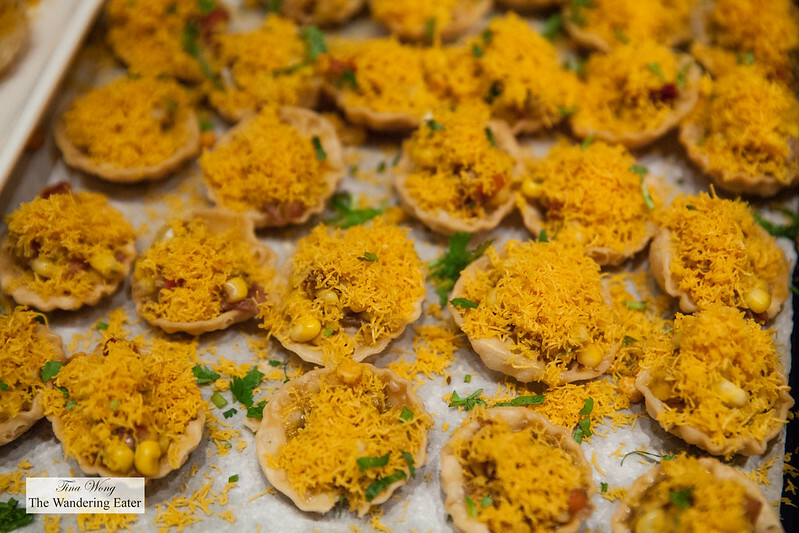 It’s incredibly flavorful with the tartness of the passionfruit and saffron and not terribly sweet. 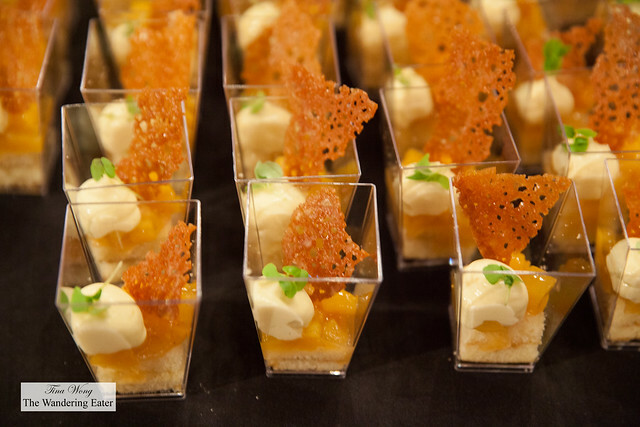 It’s always been an organized event and the cuisines is a vast range and the restaurants served really good food.